Inspired by the minimalist Donald Judd's sculptures, Window is above all a minimalist and super functional object. Along its body, the "windows" are laser-cut and opened, with rounded edges, in the right size so you can use over and over again. A modern and functional sculpture at your service! 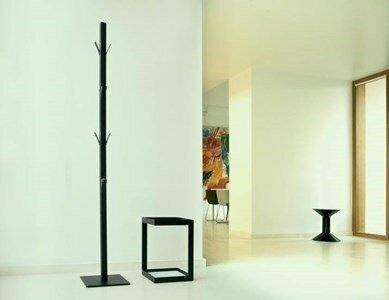 Cloth stand in calibrated and lacquered steel tube. The interior is in black or white polystyrene foam.